Liverpool Pembroke Sefton`s Kirsty Longley is an astonishing road running phenomenon. Just 14 weeks after giving birth to her second child she took part in the massively popular Mad Dog 10K Road Race at Southport. She had won this race last year in just over 40 minutes but this time she not only repeated the feat but was a stunning two minutes quicker on 38.13. This was a very special victory for the popular and inspirational local athlete. 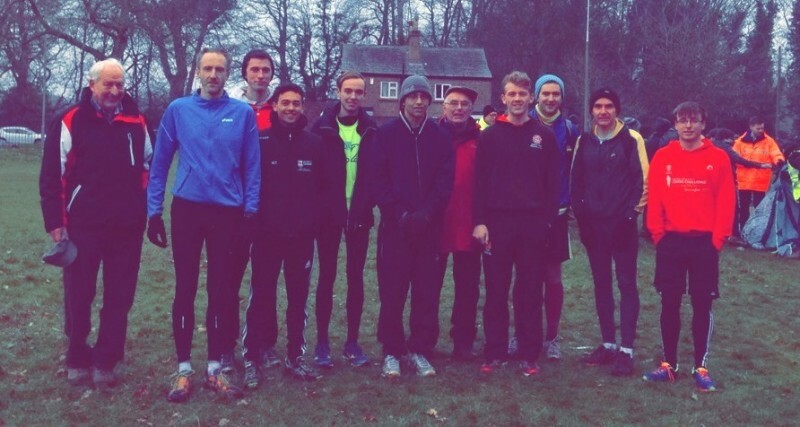 It was misty at Clarke Gardens, Allerton, for the Liverpool and District Cross Country Championships but this did not deter a rejuvenated LPS senior men`s squad. Even with several prominent members absent there was some fierce and determined running. While Liverpool Harriers continue to dominate there is a very real battle going on between the other local clubs. James Loftus led for the red and black hoops in the first dozen with Kyle Nicholls hanging on grimly a few strides away. Mark Wynne was having the race of his life in third counting position. These eventually ran out, 10th, 13th and 14th. The evergreen Sammy Rashid, celebrated his recent 50th birthday in style with 19th spot. All eyes went to the next counters which were the rapidly improving Aaron Jarvis(24) and returning-to-form Warren Turner(27). The packing was solid, enough to see off the rest and gain silver medals. John Halson(38), a vastly improved Danny Gilbody(50), Rob Parkinson(75), Aaron Houseman(76) and Robbie Wood(90) completed a very satisfactory outing. The Schools Championships had been held the previous day. The Merseysides at Croxteth Park saw a predictable victory for Senior Rosie Johnson and a rather harder win for Inter Daniel Slater with team mates, Matthew Richardson(7) and Joe Deary(8) also running strongly. Inter Girls had Morag Molyneux and Charlotte Mawdsley on 5th and 7th. Senior, Aaron Jarvis, before his great run at Clarke Gardens was 5th in his event. The pick of the Lancashire results at Blackburn included Junior Ross Harrison(6) and Inters Anna Hulme(9) and Daniel Jones(10). Some 100 miles away at the Birmingham Indoor Games Luke Edwards ran a sound 50.41 for 400m. Yet another impressive weekend for the Edge Hill University based club.